I really liked this simple guerilla which is so powerful and so direct. Gud job! ...until the birds crap all over the sidewalk and box itself - not to mention spread their filth and disease. 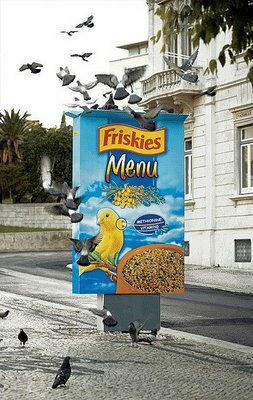 But hey, what do I know- maybe that's what Friskies was going for in this time of Bird Flu-related fear and uncertainty. 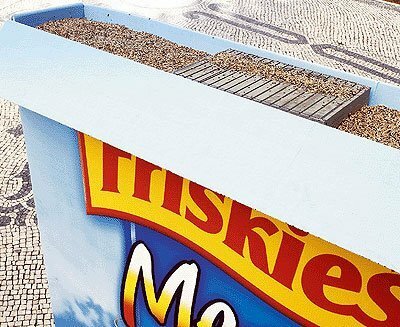 this photo is from Lisbon, Portugal, I know this building (and the pavement also helps the identification) , but I have no idea who made the campaign.